Sony's Xperia XZ only comes in three color versions so far: Mineral Black, Platinum, and Forest Blue. However, the smartphone's white paper talks about an additional hue called Deep Pink. That said, this pink Xperia XZ has been nowhere to be seen so far. So it clearly isn't launching alongside the other three. It will show up later, and its release will be limited to certain "select markets". Ahead of its availability someone was nice enough to leak a photo showing a Deep Pink Xperia XZ shell prior to assembly. 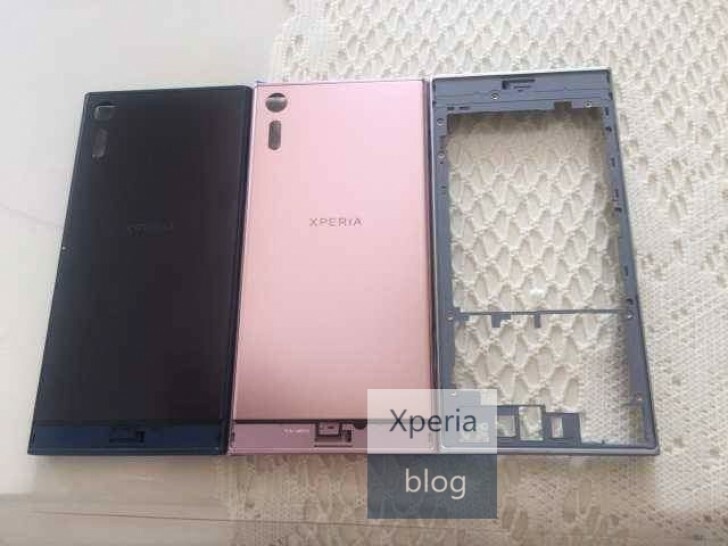 If it decides to emulate what it's done in the past with pink variations of its flagship handsets, then expect Sony to release the pink XZ right before Valentine's Day and the Chinese New Year in 2017. So if you're into this hue, get ready to wait for it - a lot. While you're doing that, why not read our Xperia XZ preview?